Nichole over at Papertrey Ink is hosting her regular monthly Blog Hop. February is my first time joining in with the fun. This month the theme is Marvelous Monograms. I love, love, love anything with a monogram and enjoy giving monogrammed stationary (here, here and here). As soon as I saw the blog hop theme, I knew I was going to make something for ME! I like to have blank stationary on hand to write a quick hello or for use as a thank you note. A note card with a monogram just makes it more special...three little letters that are all your own. I also love that my initials can be sounded out into a word. Sooo pretty! 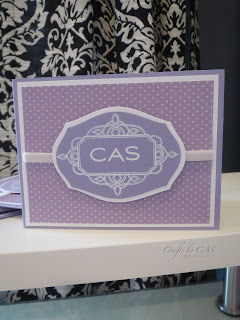 How fun your initials are Clean And Simple … Love the soft purple. love your framed monogram card. CAS perfection--and I love how you did your focal point. Your monogram framed perfectly! Love your colors too. One of my favorite colors. Love your card. You have fabulous initials! And your card is super lovely, too! THIS is just BEAUTIFUL! LOVE the design and your colors! Elegant! SO elegant. Love every detail of your design. Really beautiful! Love the colors and design! Great clean and simple look with a lot of detail! This is sophisticated & elegant -great card! Classic, classy card! I may have to CASE this! So very pretty!! You framed your monogram beautifully and the color is gorgeous! 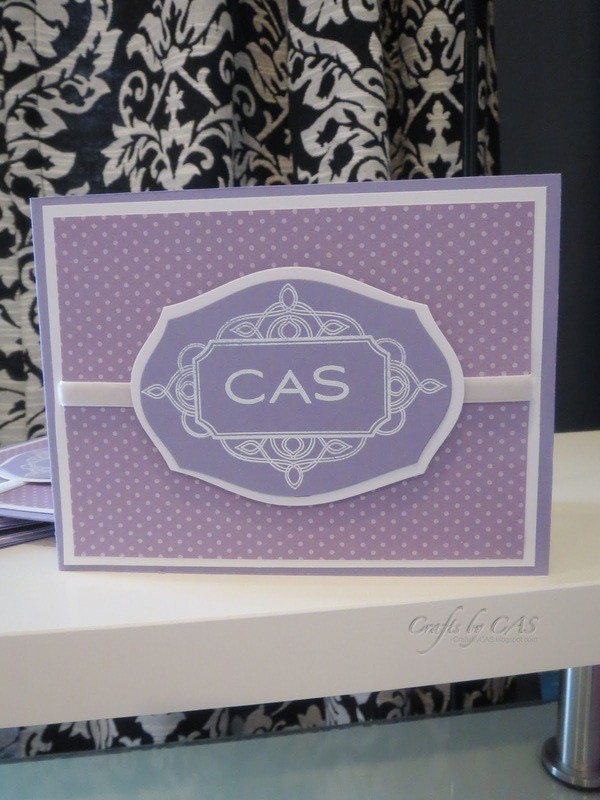 Your notecard has a stately elegance to it...must be the lovely colors and design. So glad you chose to make something for you for this challenge. Your friends and family will love receiving messages from your monogrammed notecards. Thanks for the inspiration.